“Young woman with a boy wearing a turban” (descriptive title only—note that I have seen the portrayed young woman given the name “Julia” in some websites), c1750, after Giovanni Battista Piazzetta (aka Giambattista Piazzetta) (1682–1754). 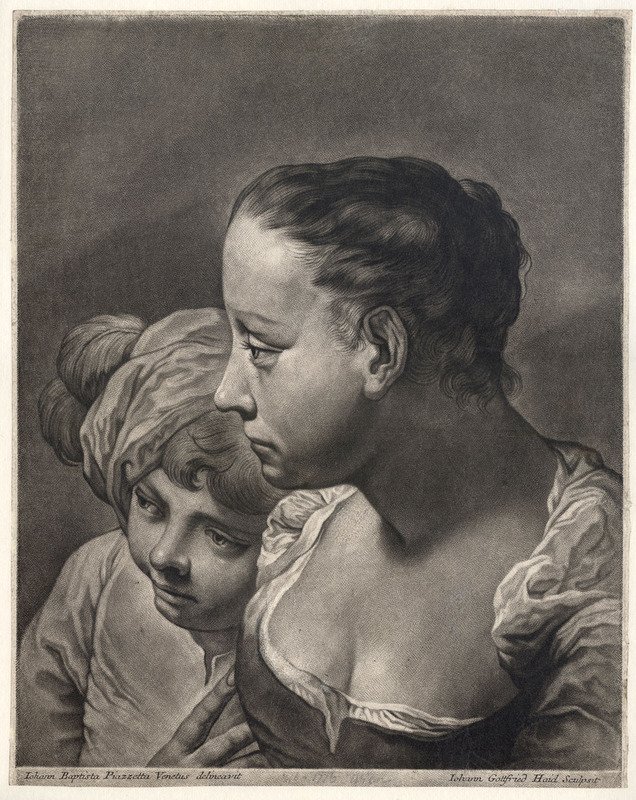 Mezzotint on laid paper, trimmed with a small margin around the image borderline and backed with a support sheet. 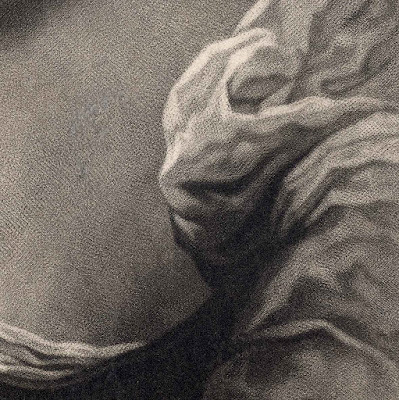 Condition: richly inked and well-printed impression with many (almost invisible) restorations, trimmed with a small margin around the image borderline and retaining the text line below the image borderline and backed with a support sheet of archival (millennium quality) washi paper. 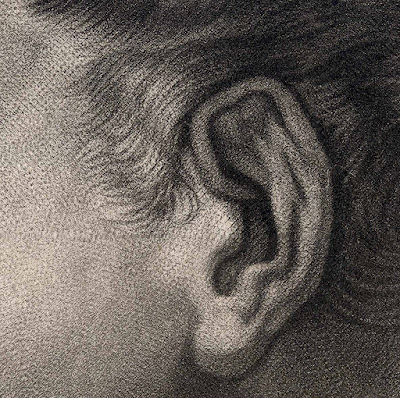 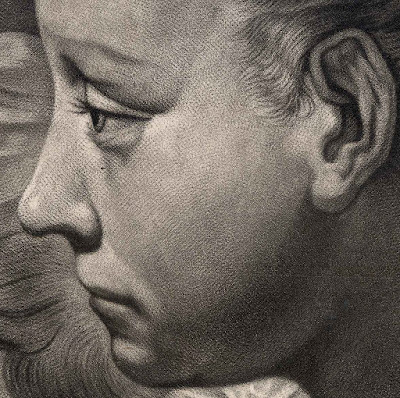 I am selling this spectacular mezzotint for the total cost of AU$216 (currently US$160.08/EUR136.73/GBP121.06 at the time of posting this print) including postage and handling to anywhere in the world (but not, of course, any import duties/taxes imposed by some countries). 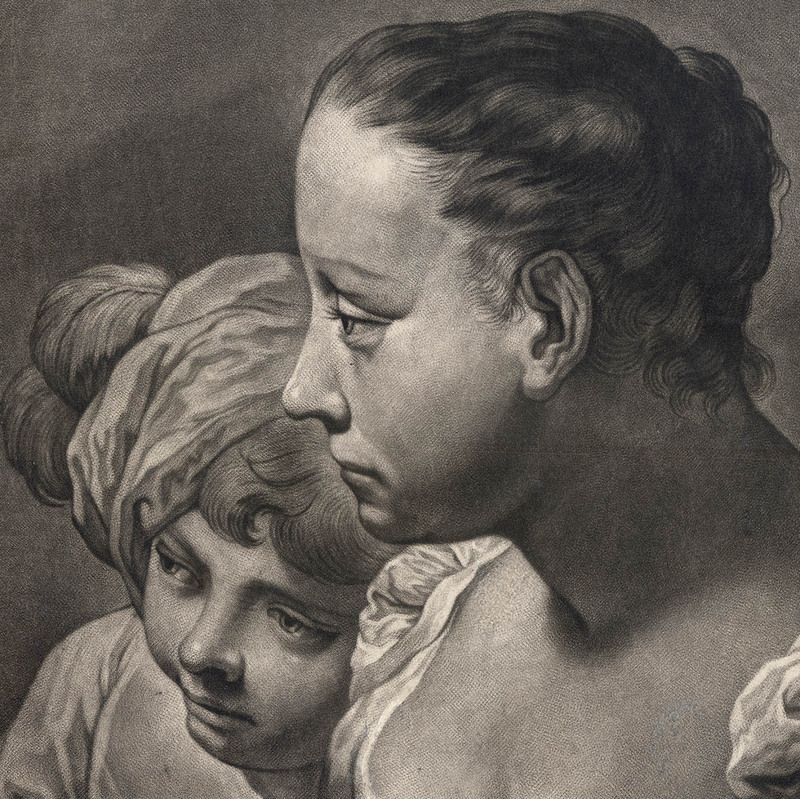 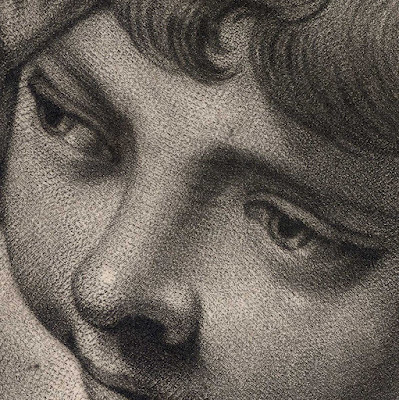 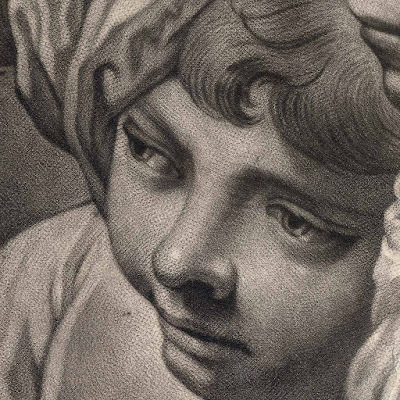 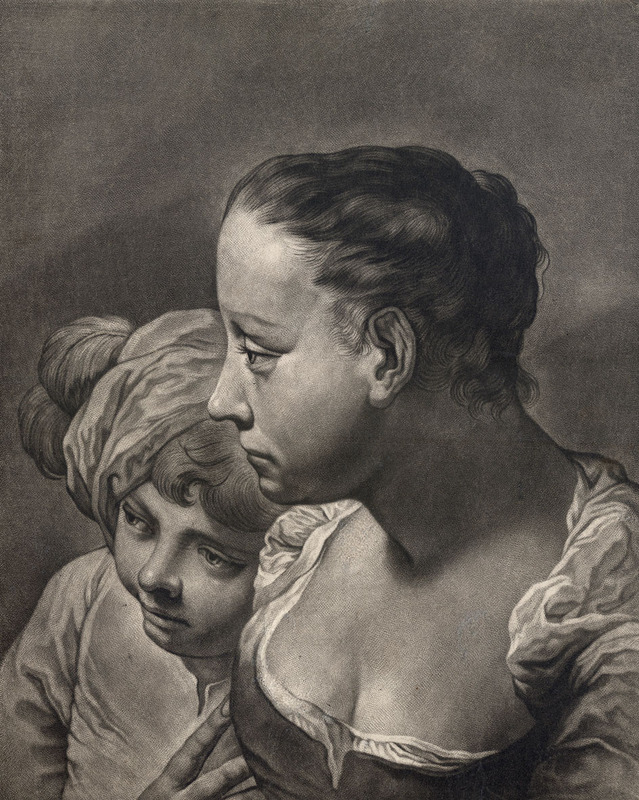 For those that like comparing prints, this mezzotint by Johann Gottfried Haid (1714–1776) is a perfect print for close study. 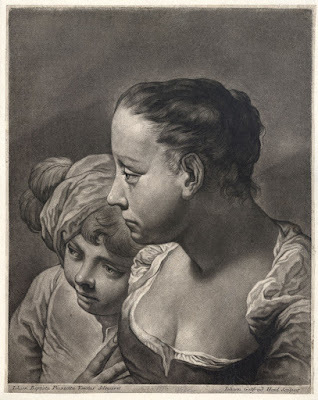 Not only did the printmaker’s younger brother, Johann Lorenz Haid (1702–1750), execute a similar mezzotint after the same draughtsman designer, Giovanni Battista Piazzetta (1682–1754) featured in my earlier post (see http://www.printsandprinciples.com/2018/04/johann-lorenz-haids-mezzotint-of-young.html), but the technically remarkable, Marco Pitteri (1702–1786), make an engraving of the same composition as this print in reverse (see http://www.britishmuseum.org/research/collection_online/collection_object_details.aspx?objectId=1418781&partId=1&searchText=Piazzetta&page=1 & http://hdl.handle.net/10934/RM0001.COLLECT.165225). “… an original method of engraving (not etching), using parallel lines, which are thickened at regular intervals along their length with more deeply engraved sections.” (http://www.britishmuseum.org/research/search_the_collection_database/term_details.aspx?bioId=111323).